Dr. Hervé Gentile is one of the first triple Board Certified Plastic Surgeons in the US and he is uniquely qualified to help you choose the procedure that best suites your needs, whether it is a surgical or a non surgical cosmetic procedure such as a Botox Cosmetic injection. Dr. Hervé Gentile performs all the procedures and is committed to your safety and maintaining a “Center of Excellence”. 1 What are some of the Plastic Surgery Myths? 2 Who can perform cosmetic surgery? 3 What are some of the questions to ask your Plastic Surgeon? 4 What do I need to know about medical tourism performed in other countries? 5 Where do you perform your surgery? 6 What can I do to improve my scar? 7 What are some healthy eating tips? 9 What does the fee that I was quoted from the patient coordinator cover? 10 What can I do to influence my result? 11 What happens if I have a minor imperfection and a touch-up procedure could improve it? 12 What happens if there is a complication? 13 What is the most common risk in cosmetic surgery? 14 Does Dr. Hervé Gentile offer you a “miracle” procedure? 15 Mesotherapy and Lipodissolve: a fiction? 16 Do you offer the Therma-Cool, Coolsculpting or the Thread Lift also known as Feather Lift (the so called non-surgery weekend facelifts )? 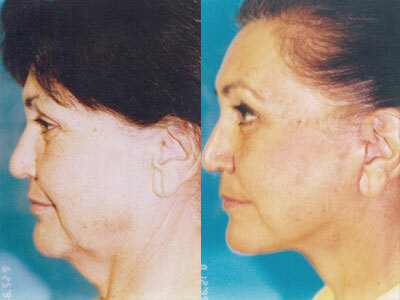 17 Do you offer the Vampire FaceLift? 18 What is better for me? A non-surgical procedure such as Botox Cosmetic®, Juvederm® (a soft tissue filler), fat injections, etc. or a surgical procedure such as blepharoplasty, cheek augmentation, short scar facelift, etc.? What are some of the Plastic Surgery Myths? What looks good in New York not always looks good in Beverly Hills… and vice-versa…the “plastic look” never does. Bigger is not always better…exaggerated browlifts and breast augmentations (“the plastic look”) are losing popularity in the USA as the concept of beauty is changing towards a more subtle and natural look….sometimes less is more. Aesthetic Plastic Surgery is not real surgery and complications never occur. A Plastic Surgeon can take any face or body and make it into someone else. Hollywood stars all look great in real life…because makeup and air brushing is great. Models and actresses have perfect faces and bodies…nothing is further from the truth since all of them have asymmetries. Your family and your friends know what is best for you. Do not trust the recommendations of friends, relatives or famous people in advertisements. Especially do not trust the experience of someone else. Every patient is different. Medical Tourism does not deal with quality care, safety or outcomes but only with a cheaper cost. You have no recourse in case of complications. Cheaper price?…if it sounds to good to be true, it probably is. The media giving the impression that non-invasive procedures give the same results as surgery. Your own personal and emotional life will change with cosmetic surgery or that it will turn your life around. Computer imaging or other gimmicks will improve your results….actually they can lead to unrealistic expectations. High tech tools cannot replace the years of experience needed to achieve good cosmetic results. I saw it on the internet…Do not believe all what you read on the internet. REMEMBER THAT ULTIMATELY YOUR OUTCOME IS PRIMARILY DEPENDENT ON YOUR CHOICE OF SURGEON…AND IN THIS COUNTRY THERE IS NO LAW AGAINST ANY DOCTOR CALLING HIMSELF A COSMETIC OR PLASTIC SURGEON. First of all… don’t shop price! Doctors with few credentials will frequently cut costs to entice more patients. If it sounds too good to be true, it probably is. Instead shop for trust, experience and safety. Today all kinds of doctors can perform cosmetic surgery. It seems to me that every day more and more non plastic trained doctors and surgeons are trying to become cosmetic surgeons. Once a doctor obtains an MD degree he or she can practice any specialty they want without any advanced training. However not all of them share the same degree of training and experience. Most of these unqualified doctors offer a limited scope of services and tend to perform liposuction, breast augmentation or facial surgery. Also the claims and advertisements of these self-proclaimed ” board certified cosmetic doctors (some are dental/oral surgeons, family or internal medicine doctors, gynecologists, dermatologists, etc. )” are only adding to the public’s confusion. Yes it is true…in some states even dentists can perform cosmetic surgery (would you want your dentist to perform your facelift?). It is difficult for the consumer to evaluate competence and qualifications of a surgeon and therefore the medical profession has created board certification. The American Board of Medical Specialties (ABMS) is the umbrella organization established to certify specialists in the US. After years of formal education, specialized training and surgical residencies, surgeons take extremely rigorous written and oral exams. Once they pass, they can call themselves board certified in that specialty. Dr. Hervé Gentile is certified by multiple specialties (one of the first triple board certified): the American Board of Plastic Surgery, the American Board of Otolaryngology- Head & Neck Surgery and the American Board of Facial Plastic and Reconstructive Surgery. In addition he is on the faculty of the Medical College of Georgia (MCG), University of Georgia Systems, as a Clinical Assistant Professor of Plastic Surgery. He is a member of the American Society of Plastic Surgeons (ASPS), the International Society of Aesthetic Plastic Surgeons (ISAPS), the American Society for Aesthetic Plastic Surgeons (ASAPS) and a Fellow of the American Academy of Facial Plastic and Reconstructive Surgery (AAFPRS) and Fellow of the American College of Surgeons (FACS). What are some of the questions to ask your Plastic Surgeon? How many surgeries (that I am considering) do you perform per year? Do you have privileges in a Hospital to do these cosmetic surgeries? – if the answer is no…run away as fast as possible. Are you Board Certified and by which Board? Have you ever been disciplined by any Hospital, State Medical Board or Certifying Board? What are the most common complications with this procedure and how frequently they occur in your practice? How do you take care of any possible complication or redo or a touch up procedure and what is the financial policy? What do I need to know about medical tourism performed in other countries? Every day I hear about patients having cosmetic surgery performed by unqualified doctors in non accredited office facilities not only here in the US but also more often in other countries. The typical procedures are cosmetic surgery and dental care. Some patients may seek doctors in foreign countries for privacy issues but the vast majority because of cheaper costs. The cheaper costs are the result of lower fixed costs, low employee wages, the absence of litigation and in many cases shortcuts are taken to further decrease these costs. However, the potential drawbacks for a patient are enormous in regards to safety, quality of medical care and ultimate outcomes. It comes to mind the PIP implant fraud where women underwent breast augmentation with implants using non medical grade silicone (the same industrial silicone you buy at the supply stores). Questions may arise as regarding the advertised accreditation of these facilities and training of these doctors as the standards are not comparable to ours since many countries require little regulation. Who will provide the post surgery care and treat eventual complications? Often it is not the operating surgeon and frequently the operating surgeon even refuses to see the patient with complications (I have personal experience in assuming care of patients treated in third world countries as well as in non-accredited facilities in the US). What happens if you develop clots in your legs or worse a pulmonary embolism You will be transported to a Hospital in a country which may offer substandard care compared to what you have been accustomed in the USA. Of course, if there is a possibility of negligence you would have no recourse as malpractice in underdeveloped countries is non-existent. Infections, however, are becoming the biggest risk: in the US the majority are due to poor sterilization and poor techniques practiced by unqualified doctors in non accredited facilities; the same deplorable sanitary conditions occur in underdeveloped countries, but unfortunately now we are also dealing with very bad bugs, called “superbugs”, as there is no known antibiotic capable of combating them. In these circumstances all your savings costs are vaporized as you will face a prolonged recovery and possibly an expensive hospitalization which probably will not be covered by your medical insurance. There is no question that you can have cosmetic surgery performed cheaper in another country or in some places in the USA, but the question is should you allow yourself to be operated there? Would you fly with an airline that has a much cheaper fare but is not approved by the FAA to fly in the USA? I don’t think any person would board such an aircraft. Remember that you always pay for what you get. Dr. Hervé Gentile surgical center has now received world wide accreditation by the AAAASF. Where do you perform your surgery? The safest place to perform your surgery is at a certified outpatient surgical center or hospital. We take pride in the fact that we strive to maintain “A Center Of Excellence” and that we were the first in South Texas to offer an accredited in office surgical facility. Our Better You Cosmetic Surgery Center has been certified as a class “C” for general anesthesia to the highest standards by the AAAASF ( the American Association for Accreditation of Ambulatory Surgery Facilities ), which is the highest level of obtainable certification. This ensures that our facility has been inspected, Dr. Hervé Gentile has been credentialed to perform all the procedures offered and that an ongoing peer and quality review are present. Accreditation by the AAAASF distinguishes us and assures you that we provide the high level of quality care that you expect. We are also accredited internationally by the SFR (Surgery Facilities Resources Inc.). What can I do to improve my scar? The healing process and thereby scar formation is always unpredictable. It is really a guessing game due to the capricious nature of scars. Scars cannot be invisible and plastic surgeons can only try to minimize them. If you had any previous scars that healed well, most likely this will occur again with your new scars. You should avoid using antibiotic creams, gels, vitamin E and whatever product you hear from the media or friends as there is no scientifically proven benefit. So do not fall in that trap. The most important thing you can do is to not scratch or irritate the scar. It will take up to 18 months for the scar to mature. The only recommendation Dr. Gentile has at present: apply Aloe Vera Gel a few times a day as it helps with the itchiness. A healthy nutritional diet prior to and after cosmetic surgery can help patients improve recovery and maximize their results. Balance the consumption of carbohydrates, proteins and fats at each meal (a balanced diet). Avoid foods high in calories but low in nutrients. Eat 2 to 3 servings of vegetables every day, including dark green vegetables daily. Eat 2 to 3 servings of fruit daily. Eliminate soft drinks, carbonated drinks, beer, etc. Eliminate white carbohydrates ( no sugar or flour-based foods ). Avoid processed foods containing hydrogenated oils or trans fats. Take a multivitamin with minerals daily. The current recommendations by the US Gov. is to follow a Mediterranean diet. A well-balanced, high nutrient diet is Dr. Sears Zone diet, which is based on a 40-30-30 ratio of carbohydrates to proteins and fats. Examples of foods high in vitamins, minerals and antioxidants are: fish, chicken, lean beef, eggs, beans, soy, etc. Examples of foods high in nutrient carbohydrates are: most fruits, vegetables and whole grains, etc. Examples of heart-healthy fats are: olive oil, almonds, avocados, fish oil, etc. Examples of empty calories are: white carbohydrates, candies, cookies, chips, fried foods, pastas, soft drinks, etc. Face thread lifting procedures such as feather lift, so called facelifts or any facelift procedure under local anesthesia, etc. What does the fee that I was quoted from the patient coordinator cover? This is a fixed and global fee. In other words it includes surgery, anesthesia, OR facility, supplies such as garments, implants (if required). The only exception are occasionally some laboratory exams or the necessity, in special circumstances, of a private nurse if you cannot be adequately cared for by family members. Out-of-towners are accommodated across the street at the Emerald Beach Hotel at a discounted rate. Although we strive to make our fees competitive and affordable, you will perceive the higher value when you consider safety, quality, experience, service, communication and our distinct environment that Dr. Hervé Gentile offers you at A BETTER YOU Cosmetic Surgery and Laser Center. What can I do to influence my result? What happens if I have a minor imperfection and a touch-up procedure could improve it? If the patient has shown a significant improvement but still seeks further improvement a touch-up fee will be applied. Since many refinements can be performed under local anesthesia, the cost can be significantly reduced. In certain circumstances both the patient and the surgeon can do everything right but an unforeseen problem occurs resulting in disappointment for both. Although this can be handled in various ways, the most common approach is for the patient to pay for anesthesia and the facility, with the plastic surgeon donating his time, services and postoperative care. Major complications such as major infection, skin loss, fluid overload, etc. are extremely rare and can largely be avoided by the experienced surgeon provided the patient is compliant in carefully following the preoperative and postoperative instructions. You should also be aware that insurance companies do not cover aesthetic surgery complications. The insurance company’s stand is that if the patient chooses to pay, as an example for a tummy tuck, all cost related to that surgery are the sole patient’s responsibility. What is the most common risk in cosmetic surgery? The first and less obvious risk is disappointment. This happens when the patient’s expectations exceed the results of surgery. It could either be related to the disappointment in their physical changes or the new improved appearance doesn’t realize the lifestyle changes they had hoped for. Although cosmetic surgery can have a positive impact on your life it is not a guarantee for happiness. Does Dr. Hervé Gentile offer you a “miracle” procedure? Every day I hear about a new trend “the miracle procedure” which promises to be painless and long lasting, is minimally invasive and avoids surgery, and it magically delivers fantastic results. All these trendy procedures are advertised by the media and by corporate sponsors or patients who read about them in magazines or heard of them from friends who had them done in some physicians office…but what about the hot trendy procedures of last year? …are they “passé”, obsolete and no longer in vogue? The short term results of these miracle procedures are less then satisfactory (see the next three questions) and, hopefully, the patient who has experimented with these miracle procedures has not had any major complications. “Caveat emptor!” A Roman phrase which translated from the Latin means “let the buyer beware”….if it sounds to good to be true it probably is. Mesotherapy and Lipodissolve: a fiction? It is a controversial procedure involving injection of tiny doses of medications (everyone uses different formulas but the most commonly used is deoxycholic acid) into the fat layer under your skin to dissolve it. It was very popular in Europe many years ago since it was developed in France in 1952. The idea of destroying the unwanted fat and curing cellulite is what every American woman desires. But while some patients and doctors rave about the results and consider Mesotherapy and Lipodissolve great procedures most others warn that instead both are a waste of money at best and potentially harmful at worst. In traditional Mesotherapy the various ingredients ( which are different from doctor to doctor ) are injected into the deep skin, the mesoderm, while in Lipodissolve the injections are made into the fat underneath the skin. However both terms are used interchangeably. What you should know is that there is no cure for cellulite and the safety of the injected medications and long term effects of Mesotherapy and Lipodissolve have not been established. Currently the FDA , the US agency tasked to approve drugs, has not approved any of the various drugs used in Mesotherapy and Lipodissolve with the exception recently of Kybella. Kybella has been approved only for treatment of the double chin. However, the results are mediocre at best compared to liposuction. 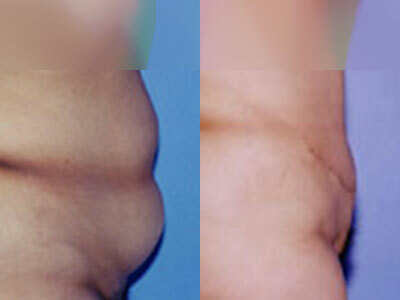 Mesotherapy and Lipodissolve are not an alternative to liposuction and are associated with significant complications. Having been exposed to Mesotherapy since 1985, I have not observed any noticeable and prolonged improvement in patients who underwent Mesotherapy and therefore at the present time we do not offer it. Furthermore the American Society for Aesthetic Plastic Surgery does not endorse it. Remember that not even Hollywood stars can eliminate cellulite…they are just great at hiding it. Do you offer the Therma-Cool, Coolsculpting or the Thread Lift also known as Feather Lift (the so called non-surgery weekend facelifts )? There is a plethora of non-invasive cosmetic treatments but what do they have in common? All are temporary and expensive and offer short lived results. We do not use the Therma-Cool (Thermage), Coolsculpting or other similar Laser/Light/RF skin tightening procedures as recent studies have shown the results to be quite minimal with over one third of patients exhibiting no change at all. Likewise we do not offer the so called weekend facelifts (“The Facial Thread Lift, Weekender Lift or Feather Lift”) since the results show minimal improvement lasting only weeks or at the most a few months. In over a third of the patients there is no demonstrable or visible improvement. The reason is that these procedures lift portions of “skin only” and not the underlying muscles. Since the skin is firmly attached to the underlying muscle, the stronger muscle tissue will pull the skin back down to its original position either immediately or within weeks. Please remember that it is common for drug and device companies to inflate the efficacy and downplay the safety of their products. Industry in medicine often gets a product FDA approved and then markets it without an adequate scientific basis. It is incumbent upon you, the patient, to ask your plastic surgeon for validation of the product. Do you offer the Vampire FaceLift? This is a media creation fixated with the term vampire. Essentially it is a filler often combined with Botox injections. It involves donating your own blood and processing it to remove all the cells so what is left are platelets and plasma. The name was trademarked by an internal medicine physician who charges a licensing fee for marketing the use of the branded name. It is not a “Miracle Procedure” as no real advantages have been demonstrated over the other fillers. It has a shorter duration and obviously is more expensive. The name facelift is a misnomer as it does not lift but only fills. What is better for me? A non-surgical procedure such as Botox Cosmetic®, Juvederm® (a soft tissue filler), fat injections, etc. or a surgical procedure such as blepharoplasty, cheek augmentation, short scar facelift, etc.? There is no clear answer to this question as it really depends on what your goals and desires are. Generally if you are a younger patient a good choice is a nonsurgical treatment as the signs of aging are not that pronounced and sagginess from gravity has just started. Botox Cosmetic® can lift your eyebrow, your own fat can be used to restore volume in your face (stem cell facelift) and Juvederm® can correct the fine wrinkles in your lips and face. On the other side if you are older, none of the non-surgical treatments can lift the sagging tissues as good as a short scar facelift or remove the excess skin from your eyelids and therefore a surgical treatment will offer you the best overall results especially when combined with the non-surgical treatments such as Botox Cosmetic®. Also consider that if you have medical problems then your only alternative is non-surgical treatments and on the contrary if you are a younger patient with very poor skin elasticity or excessive sagginess you will best benefit from a surgical procedure. 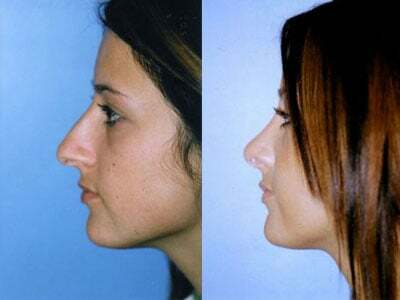 As an example if you have a weak cheek or chin bone, a surgical procedure may offer you a permanent solution which not only looks and feels more like your natural bone but at the same time it will expand the overlying soft tissues. Juvederm® cannot achieve this result and it will not last since the material is eventually re-absorbed. Therefore Dr. Hervé Gentile during your consultation will offer you all your available options so you can make the best choice suitable for you. From Fox News: Millions of people get jabbed with Botox in hopes of maintaining a youthful look – but how much is too much? “Used properly, Botox is a fantastic cosmetic surgery treatment giving smoother, tighter and more youthful looking skin,” Liz Dale, director of The Harley Medical Group said in a news release. “But like with any procedure, it’s highly unadvisable to have more done than is necessary.” The Harley Medical Group, U.K.’s largest cosmetic surgery provider reports that some people are overly obsessed with getting a freeze-frame face. As a result, the Harley Medical Group has announced that its surgeons are trying to curb the use of the anti-wrinkle product by recommending smaller doses — and even says some doctors are turning away patients who demand injections they don’t need.